The Hon Wayne Martin AC, Chief Justice of Western Australia, cuts the ribbon to launch the inaugural Perth Walk for Justice, with (l-r) The Hon Justice Stephen Thackray (Chief Judge of the Family Court of Western Australia), Genevieve Cleary (President, Criminal Lawyers Association of Western Australia), Elizabeth Needham (President, Law Society of Western Australia), Matthew Howard SC (President, Western Australian Bar Association), Maria Saraceni (Director, Law Access), The Hon Justice Antony Siopis (Federal Court of Australia), David Kernohan (Chairperson, Community Legal Centres Association of Western Australia), John Corker (CEO of the Australian Pro Bono Centre) and Prof Jurgen Brohmer (Dean of the School of Law, Murdoch University). The 2016 Walk for Justice was a resounding success with 1,900 walkers participating across Queensland, South Australia and, for the first time, Western Australia to raise a staggering $157,000. Walks were held on National Pro Bono Day, 10th May 2016, in Perth, Adelaide, Brisbane, Toowoomba, the Sunshine Coast, Mackay, Townsville, Cairns and Bundaberg. Now it its ninth year the annual Walk for Justice continues to raise the public profile of pro bono organisations and significant funds to help them in their work. The event also serves as an excellent chance for the sector to come together and celebrate the pro bono contribution toward improving access to justice. 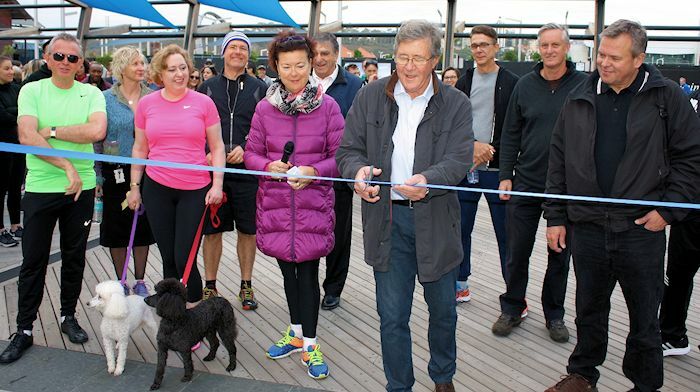 The inaugural Law Access Walk in Perth saw more than 200 lawyers, legal support staff, law students and other supporters walk along the foreshore led by The Hon. Wayne Martin AC, Chief Justice of Western Australia. 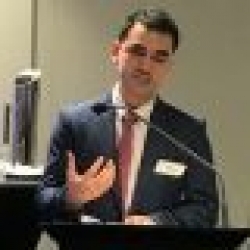 The event raised over $26,000 for the Western Australian pro bono referral scheme. The walk was followed by breakfast at Annalakshmi Restaurant at which the Hon Justice Thackray, Chief Judge of the Family Court of Western Australia was awarded the prize for the top fundraiser, having raised just over a third of total event donations. Ashurst Perth won the top fundraising team trophy, while the Curtin Student Law Society won the top student fundraising team prize. The prize for top student fundraiser was jointly awarded to Victoria Barker (of Curtin University) and Mhairi Stewart (of The University of Western Australia). Law Access is grateful to all those who took part especially the Event Ambassadors, sponsors – The Law Society of Western Australia and Profile Legal Recruitment – and prize donors, Cullen McLeod, Luna Palace Cinemas and Mills Records. In South Australia JusticeNet SA hosted 600 walkers who raised over $48,000. The walk began with a sea of purple t-shirts on North Terrace and finished with the annual post-walk breakfast served by the “Breakfast Club”, led by Chief Justice Chris Kourakis QC. Lipman Karas won the Walk for Justice Cup as the highest fundraising team and Kasia Dziadosz-Findlay from Fisher Jeffries won the highest fundraising individual. The Walk for Justice University Shield was presented to the highest fundraising University team, the Flinders Law Students’ Association and Nick Salagaras won as the highest fundraising University student. 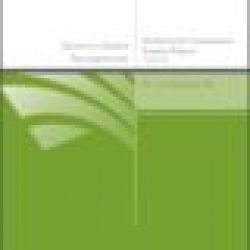 Funds raised are vital for JusticeNet to continue its important work facilitating access to justice for low-income and disadvantaged members of the Soouth Australian community. The organisation is keen to thank its sponsors and walkers for helping to make the event such a success and celebrating the important pro bono contribution of the legal profession. Record walker turn-out raised an astounding $83,000 for the QPILCH Mental Health Law Practice (see Kate’s story in this issue) and to help cover clients’ disbursements in legal matters . The 2016 Queensland Legal Walk saw funds raised by walkers jump by $50,000 from $30,000 raised in 2015. 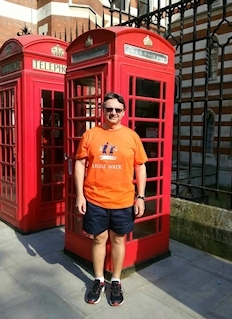 Over 1,100 members of the legal profession participated in seven walks, with one Queensland member barrister representing QPILCH in the London Legal Walk. The Brisbane event was led by the Hon. Catherine Holmes, Chief Justice of Queensland, and the Hon. Yvette D’Ath, Attorney-General and Minister for Justice and Minister for Training Skills, local MPs Stephen Bennett and Scott Stewart joined walks in Bundaberg and Townsville, all walks received attention from local media outlets. ‘Justice Cups’ were awarded to the top fundraising team and individuals. For the third year North Quarter Lane Chambers were the top team, while Amanda Wu from Ashurst took home the individual award. QPILCH would like to acknowledge the generous support of the Bar Association of Queensland, the Queensland Law Society, the Brisbane City Council, the Coffee Club and all other sponsors.